﻿ Why the Steel Tube Is Designed to Be These Two Different Shapes? Why the Steel Tube Is Designed to Be These Two Different Shapes? It is the different shape of rectangle and square that make them differ from each other. In the field of petrochemical engineering, the API steel pipes are widely used. Generally, the API steel pipe is made up of the rectangular and square steel tubes. 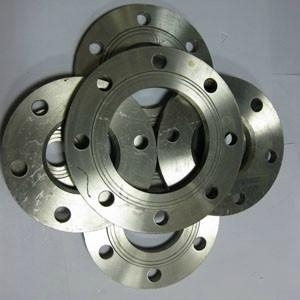 Then let me introduce some information of these two types of steel tube. The rectangular and square steel tubes are both lightweight hollow section steel tube with thin wall. In terms of their material, craft or other aspects, they are identical with each other. Then, what is the biggest difference between these two kinds of steel tubes? Yeah, you got the answer, it is the shape! Just as their names imply, in the view of appearance, the cross section of square steel tube is quadrate, while the rectangular one has an orthogonal shaped cross section. From the perspective of mathematics, foursquare has the largest area, as a result, it possesses the most stable shape, and the square shaped steel tube is the most stable one among all kinds of steel tubes. Having said all of the above, under what conditions do rectangular and square steel apply to? Rectangular steel tubes are suited to sustain bending moment or torsional one comparing to square steel tubes. But if what they have to support is shearing force, then the square steel tubes maybe a better choice, for its larger cross section. In addition, rectangular and square steel tubes are clipped into 6 or 12 meters normally, and if the steel tubes which customers need are above 6 meters, manufacturers can cut the steel tubes according to customers' requests. 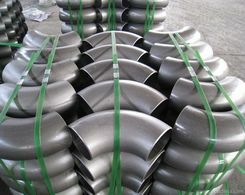 Generally, venders can customize the lengths of steel tubes as buyers like if lengths are blow 12 meters. There quite some applications of the rectangular steel tubes. Rectangular steel tubes are widely used in building, machinery manufacturing, ship constructing, steel structure projects, and electric power project. While the square steel tubes are extensively used in automobile chassis manufacturing, airport constructing, and they also play a very important role in the construction of guard bar of the highway, glass curtain wall, house and the like. The welded steel pipe and black steel pipe are also available. In conclusion, without considering the different shape of rectangular and square, whether the steel tube is rectangular or square, it is an essential tool in constructions.